Fortunately we have a large family. 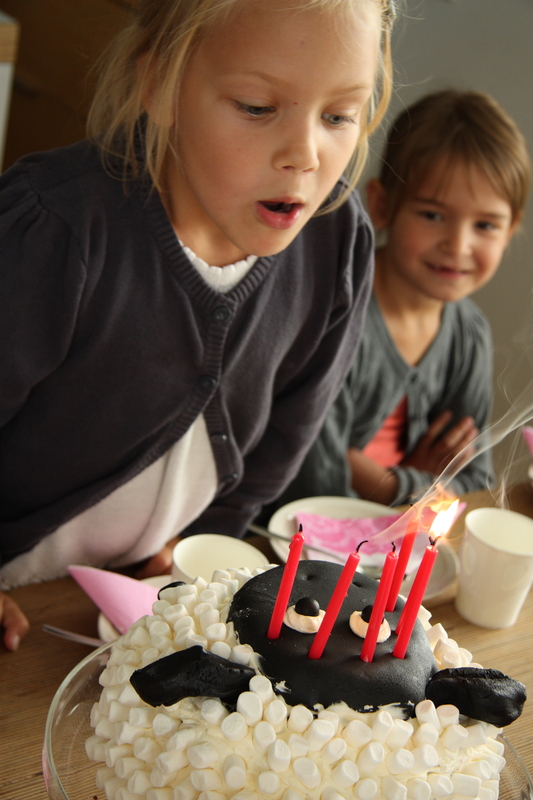 We get to celebrate seven birthdays every year. And each birthday happens to be in a different month. It’s a day that the kids wait for all year long. I let them choose a theme for the cake and then try my best to fulfill the wish. They plan their cakes for months, and the theme changes daily. It is somewhat like making a wish list for Christmas. I always tell them, you can wish and dream for as many things as you want but Santa can only bring a few of those things. I actually think that is a good excercise for the imagination. I remember wishing for an American Girl doll, all of the neat outfits for them, reading the books about them and letting my imagination go to a time in history that was different than my own. At one point I tried to save the amount needed for the doll, but by the time I had saved the necessary one hundred dollars I was already a teen and the doll was not my top prioirity. I never really felt any true disappointment that I did not have the doll. I certainly did receive other gifts and was perfectly satisfied with them. Looking back, the memories of my imaginary adventures with the characters of the American Doll series maybe gave me more than actually owning the doll. That is what I hope my children learn to do. To let their imagination run wild, wish for things, work for things and then to be satisfied even if every wish does not come true. 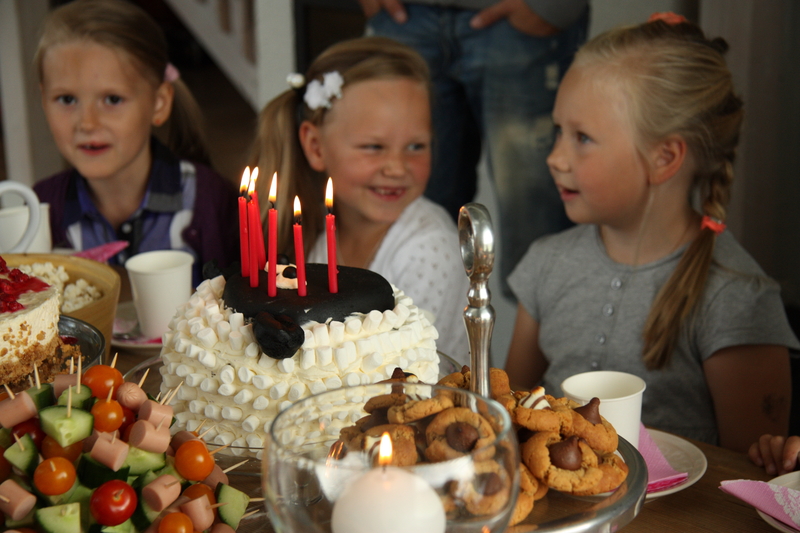 This past Saturday we celebrated Lilja’s birthday. I asked her what she would like for lunch since her Godparents were coming over. I suggested a puréed vegetable soup since it would be easy to do and suits everyone. Well our little foodie had different thoughts. She (very politely) requested focaccia with fondue. It has become a favorite food for our kids. Even the herbs go down with no complaints when they get to use the little spears to dip the bread in the sauce. Since it was her birthday I agreed to the request. Lilja is an eager helper and that is what made the whole party so much fun. The menu was planned so that little hands can easily participate. 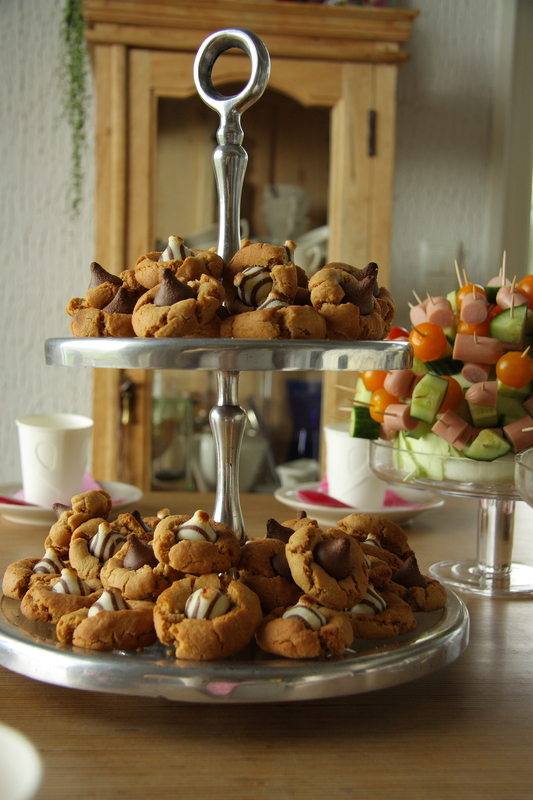 A few days before the party we started with peanut butter blossoms. This recipe I found on the Land O’Lakes website. Cream the butter, peanut butter and sugars. Add in one egg and one teaspoon of vanilla. Mix the flour, salt and baking soda in a separate bowl and fold into the cookie batter. Refrigerate dough for 30-60 minutes and roll into 1-inch balls. If desired roll the balls in a bowl of sugar. Bake on a lined baking sheet for 8 minutes at 175C/350F. 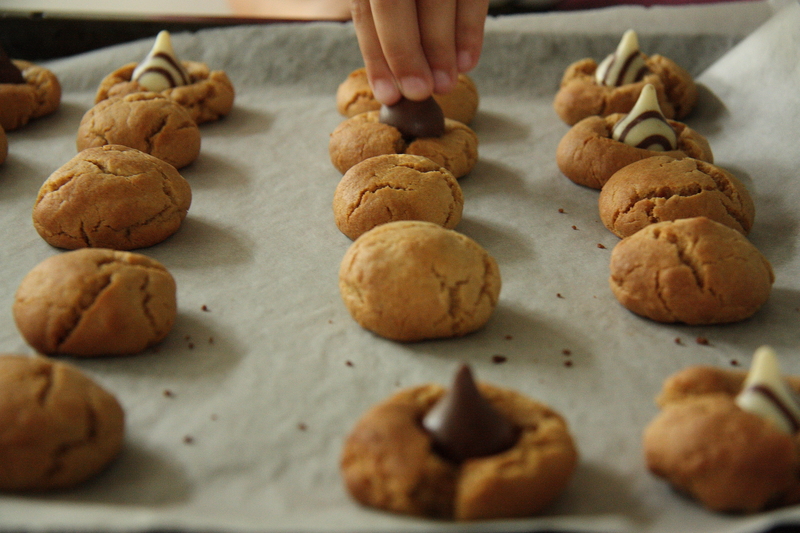 While baking, unwrap one Hershey’s Chocolate Kiss candy for each cookie. 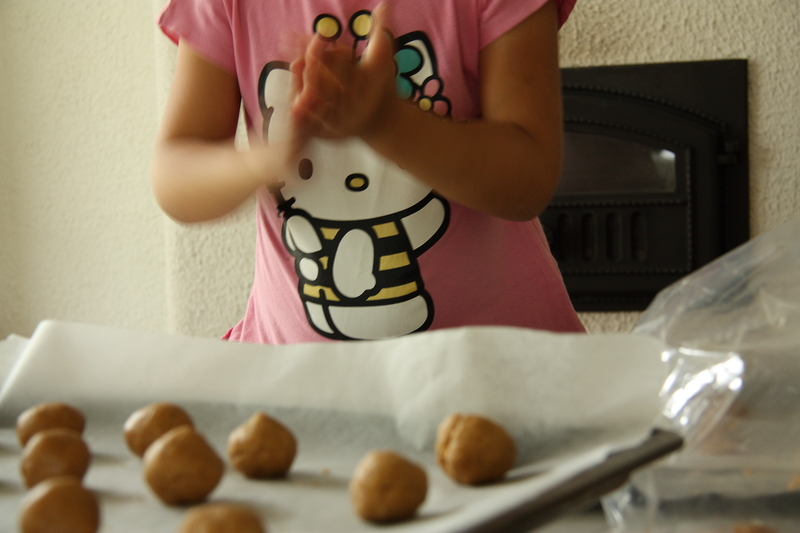 Remove cookies from the oven and press one Kiss on each cookie and bake for another 2 minutes. 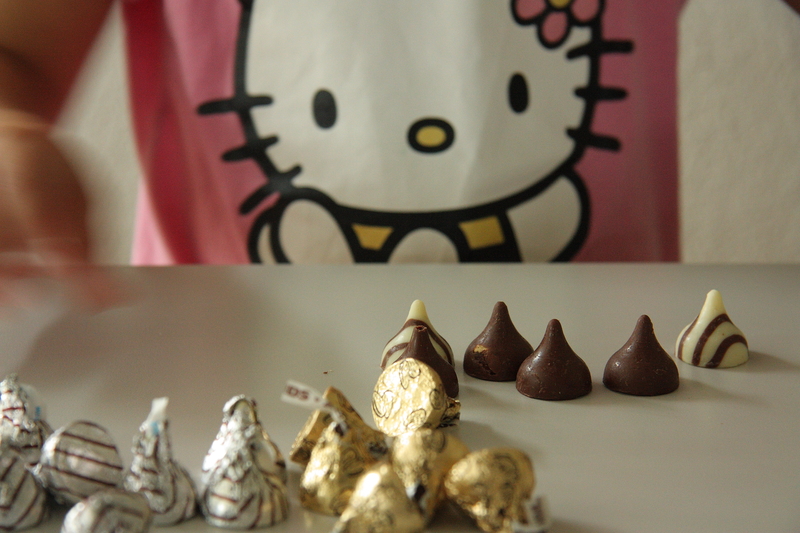 (In Finland I found Hershey’s Kisses at Stockmanns). 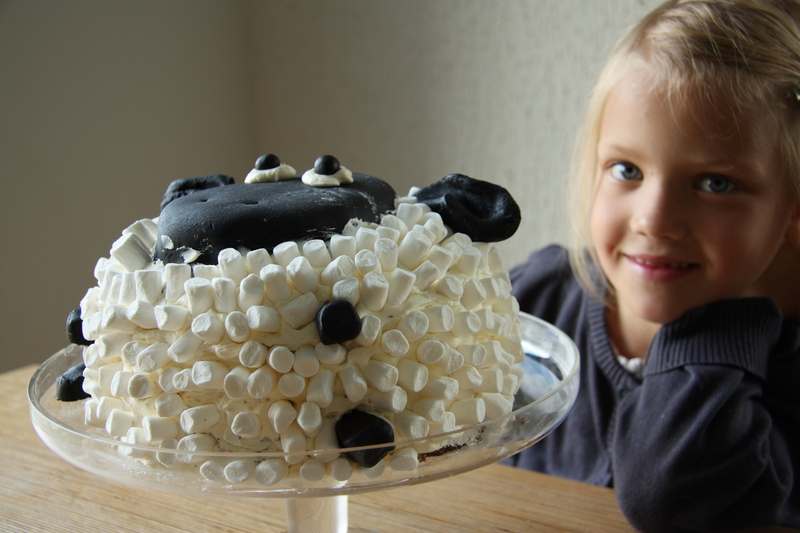 This year Lilja decided on a lamb cake. The design was inspired by dream.blogit.fi and was not too difficult to do. 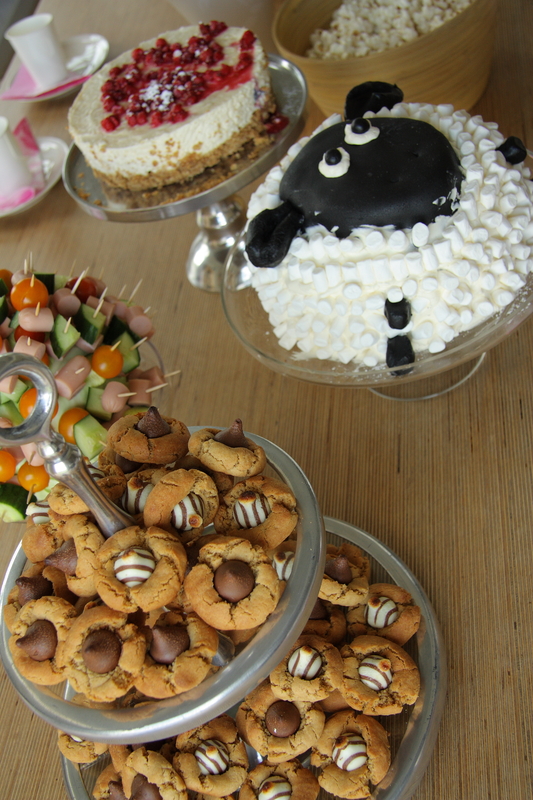 To make the lamb cake, stack layers of cake with filling on top of each other. The top layer needs to be smaller for the “head”. 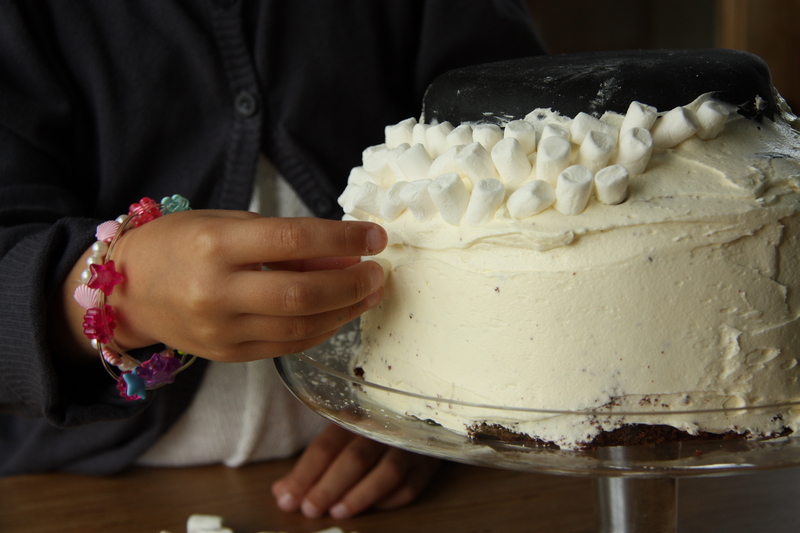 Frost with buttercream, making sure the sides have a thick enough layer so that the marshmallows will stick. Roll out a black fondant or marzipan to cover the head. Use buttercream and little balls of black fondant/marzipan for the eyes. Form legs and ears using the black fondant/marzipan. Make small indentations for the nose. 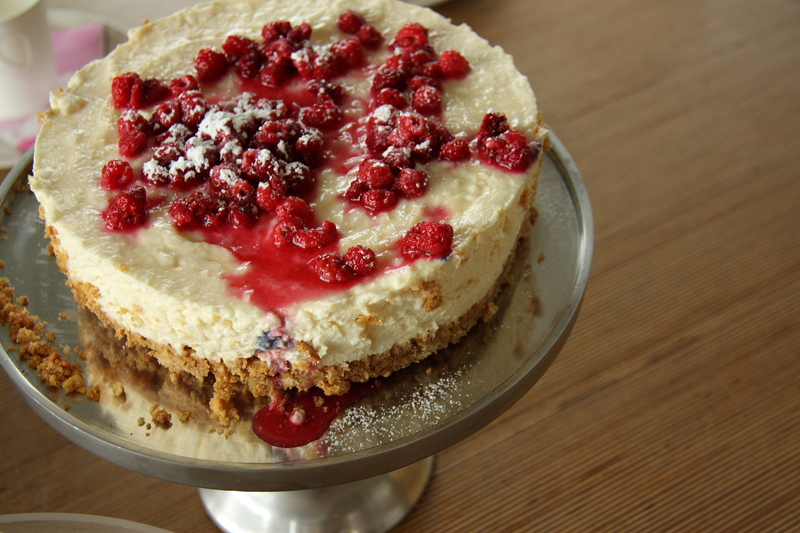 Since we had so many of us and even a few adults in the mix, I decided make a no-bake lemon cheesecake with raspberries to complement the lamb cake (a chocolate cake). 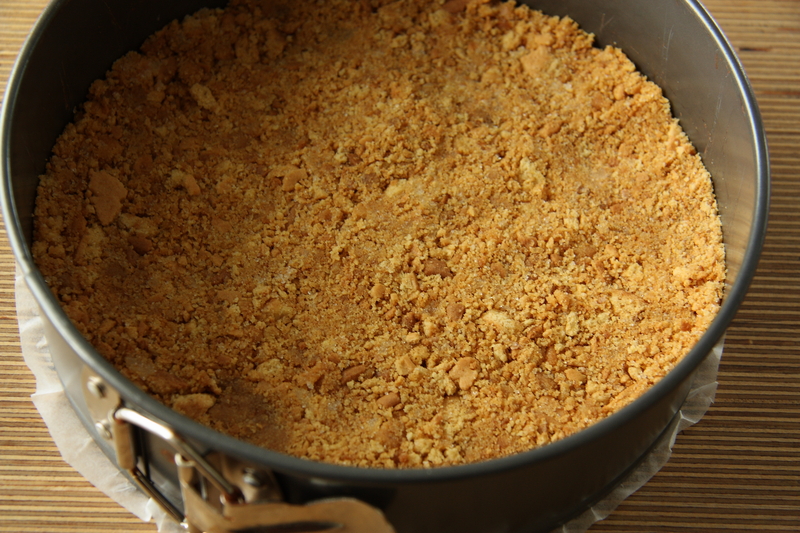 Crumble the cookies or crackers and mix in the melted butter and sugar. Pat firmly into a lined spring-pan form (23 cm/9″). 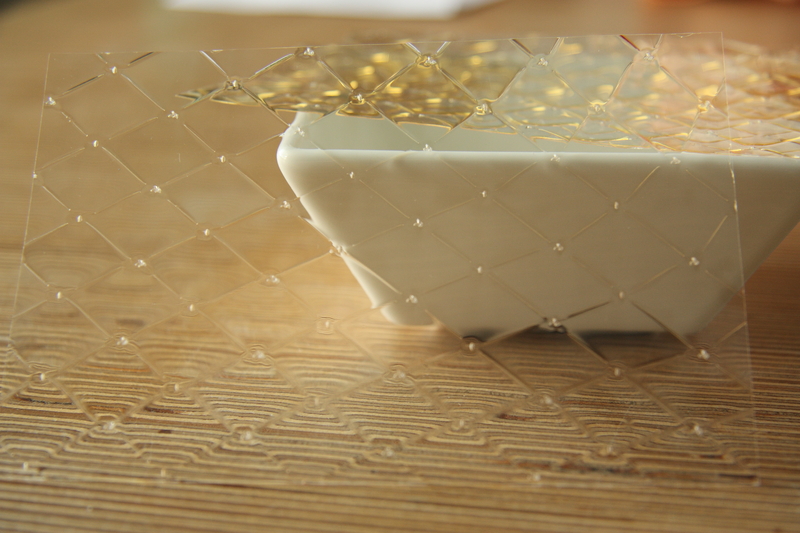 Place four gelatin leaves in cold water for about 10 minutes. 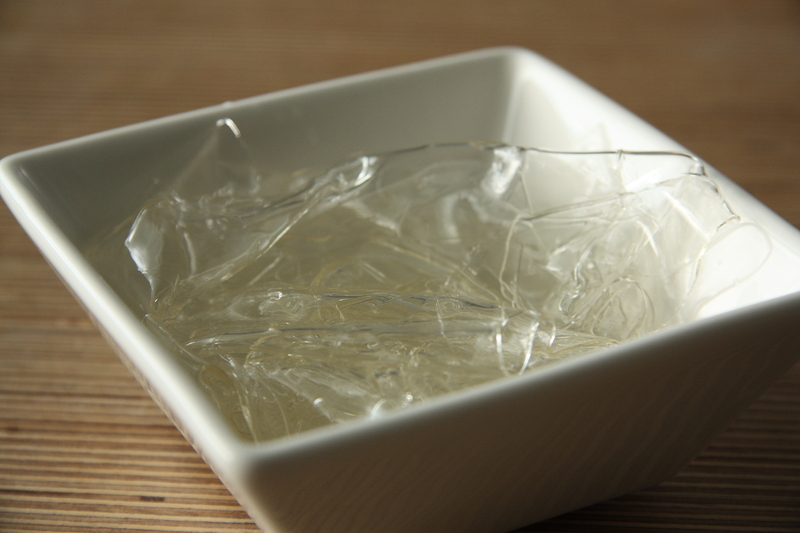 Many recipes call for more gelatin, but I prefer a softer texture. While the gelatin leaves are soaking make the filling. 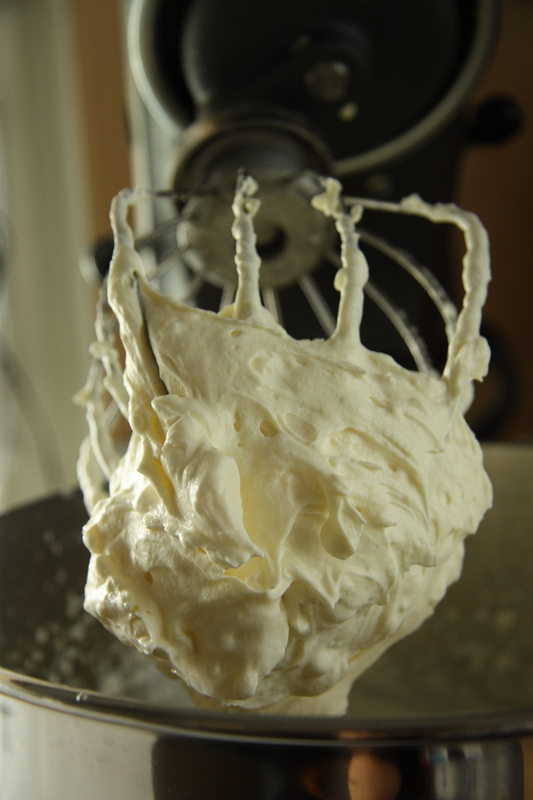 Whip 4 dl/1.7 c heavy whipping cream. Fold in 400 g/14 oz of plain cream cheese (fat content 13%) and blend until smooth. Squeeze the water out of the gelatin leaves and pour about 3-4 tablespoons of boiling water over the soaked gelatin leaves and mix until dissolved. (If the gelatin mixture is goopy, add a little more boiling water) Pour the gelatin into the filling in a constant stream, mixing at the same time. Add 160 g/5.6 oz of lemon curd to the filling. 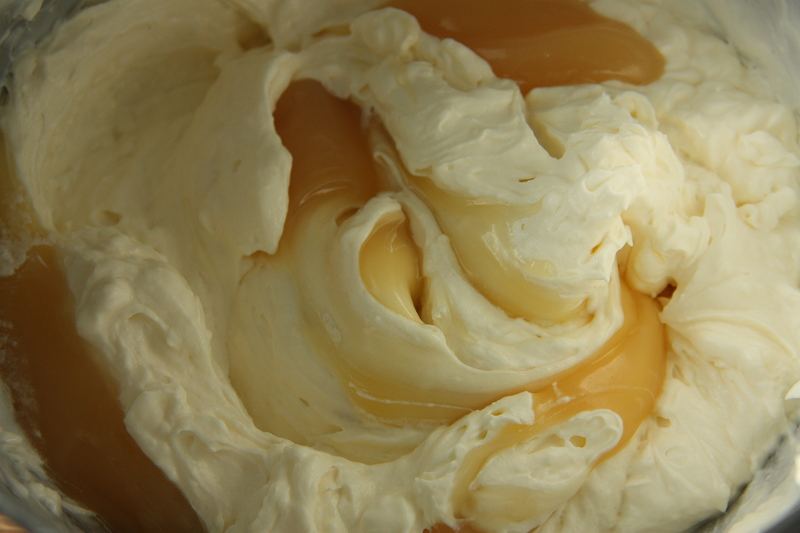 Do not mix completely so that the lemon curd forms a “marble” pattern. Let the cake set in the refrigerator over night. Garnish with raspberries and powdered sugar. vaude! On siellä ollu herkkuja. Oot taitava! Wow! Vesi kielellä täällä katselen kuvia. And didn’t you all have fun! Thanks for stopping by Dee! Ihan hassun hauska tuo Lammas-kakku. Niin hyvä idea ja kaunis toteutus. Kiitos, ja kaiken lisäksi se ei ollut edes kauhean vaikea tehdä! Thank you! It was really easy to make and the result was satisfying 🙂 Hope you have a chance to try it out some time!